20 Years Hence Turns 2! And we are far, far from home, but we’re so happy. Far from home, all alone but we’re so happy. A few weeks back, I was chatting on Facebook with my good friend Simona. We’ve been friends for nearly a decade at this point, having met during our final semester of university and bonded (initially) over our mutual love of Oasis. As if to make up for lost time, we crammed years worth of friendship into the few remaining months before we graduated and I headed south to Nashville for graduate school. At this point, we’ve definitely spent more time living in different cities and having a “long-distance friendship”, but you know how it is with good friends: you keep in touch the best you can when you’re apart, and when you’re back together, you make the moments count and it’s like neither of you has been away. Anyway, Simona asked me whether I ever feel lonely out here on the road. 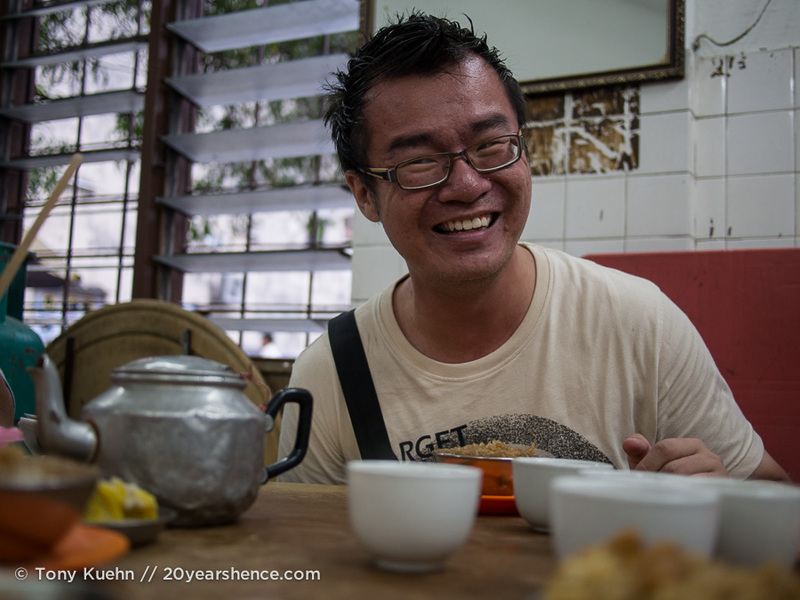 It’s not uncommon for travelers to feel displaced and isolated at some point, the so-called “stranger in a strange land” syndrome, but the truth is, I can’t think of one moment during this journey when I would say I have felt lonely, and neither can Tony. When asked why I thought that was, I immediately credited this site. Between actually traveling and then writing about our adventures on 20YH, I joked that I am way too busy and am having too much fun to have time to be lonely. That is all true, of course, but it’s only a partial truth. I do channel a lot of energy and emotion into this site and that has been great since an idle Steph is a recipe for trouble, and this site doesn’t just give me something to do, but it gives me a purpose as well. Still, I think that the real reason I can spend so much time adrift on the waves of uncertainty and solitude is because of the larger community this site has made me feel a part of. I take great comfort in knowing there are thousands of people out there traveling and blogging and living adventures much like ours—even if I don’t know about most of them and will never meet many of them, it’s still nice knowing that, on some level, I’m not entirely alone out here. But it’s more than that too. Before we left home, I spent hours reading other travelers’ tales. As I followed along on their journeys, leaving comments or exchanging emails, I felt that I had made some friends. The consequence of never having met in “real life” meant that it wasn’t ever really possible to miss them the way I might friends from home, but each new story served as a piece of conversation between us, a way of touching base and keeping in touch. And of course, there was always the potential that maybe somewhere out there, our paths would cross and our worlds would merge. 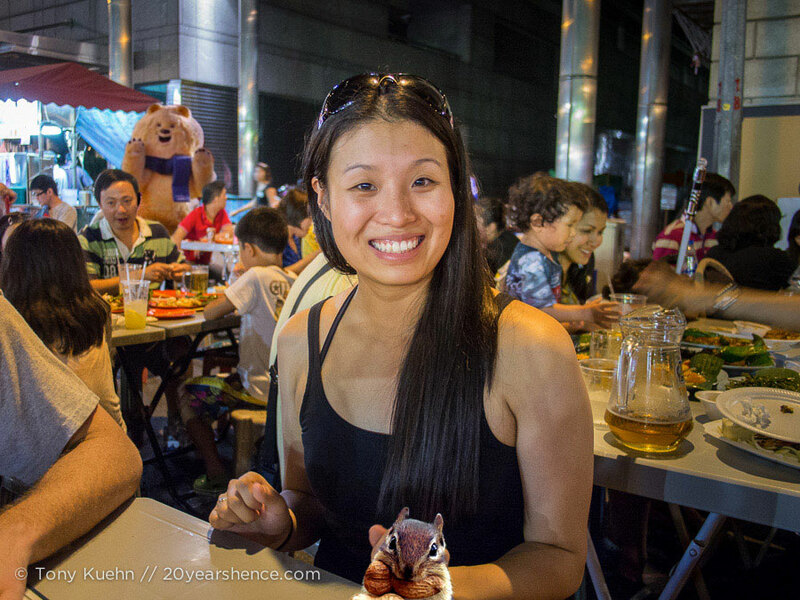 When we launched 20 Years Hence, I never expected the site to reward us in this way, but it only seems right that I celebrate the 2nd anniversary of our first post by giving a little shout-out to the members of our community we’ve met along the way who have been such a fantastic part of our journey and have helped keep us out here angst free. 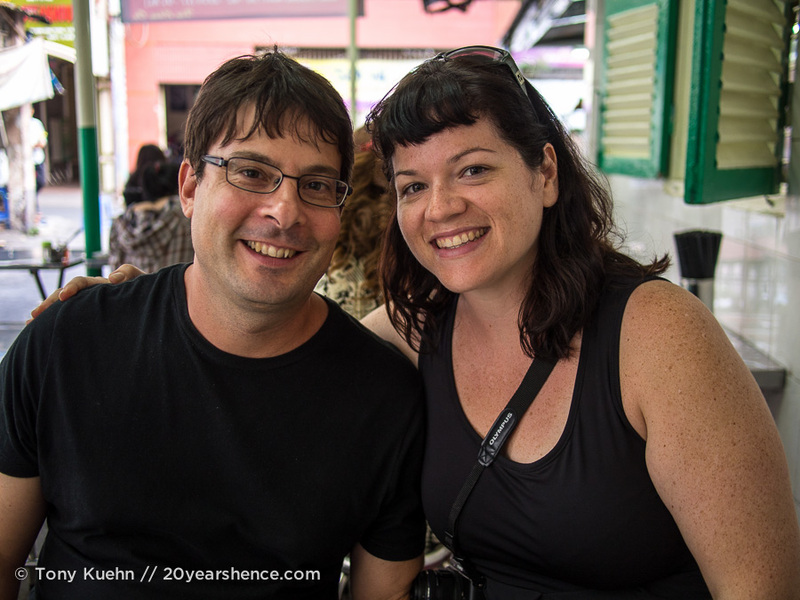 Just under the wire: Lynn & Noah of Because We Camp in Bangkok, Thailand… TONIGHT! BUT we were obviously having too much fun and forgot to take pictures! I also wanted to say that as awesome as all of those meet-ups have been, we still go long stretches where it’s just Tony & me, navigating this crazy adventure by our lonesome. In those moments, the majority of our time, it is still this site that buoys our spirits and keeps us from feeling isolated, and that is because of you, our readers. If you have ever left us a comment, liked something of ours on Facebook or Instagram (did you know we do that now too? More photo goodness for your stalking delights! ), chatted with us on Twitter, sent us a donation to keep the site running and our adventure going, sent us an email letting us know how much you dig what we do here, or reached out about design work: THANK YOU. Whether you have been with us since Day One or somehow found us and hopped on along the way: THANK YOU. We know you are out there, scattered to the various corners of the earth, rooting for us and accompanying us every step of the way. It is because of you that we never feel lonely but instead feel very lucky indeed. Thanks for being part of the 20YH community for the past two years and we hope you’ll stick around as we toddle into year three and whatever new adventures (and friendships!) that will bring. Now, let’s all eat some cake! They’re mini, but many, so we’ll allow it! What a beautiful post and tribute to the new friends who’ve kept you company through this wild adventure. Congratulations to you both! Thanks, Cassie! It’s been so wonderful to share this wild ride with so many people. I can’t believe it’s been TWO YEARS since you started this blog! I think I started reading only a few months after you started it since I feel like I’ve been following since you hit the road. 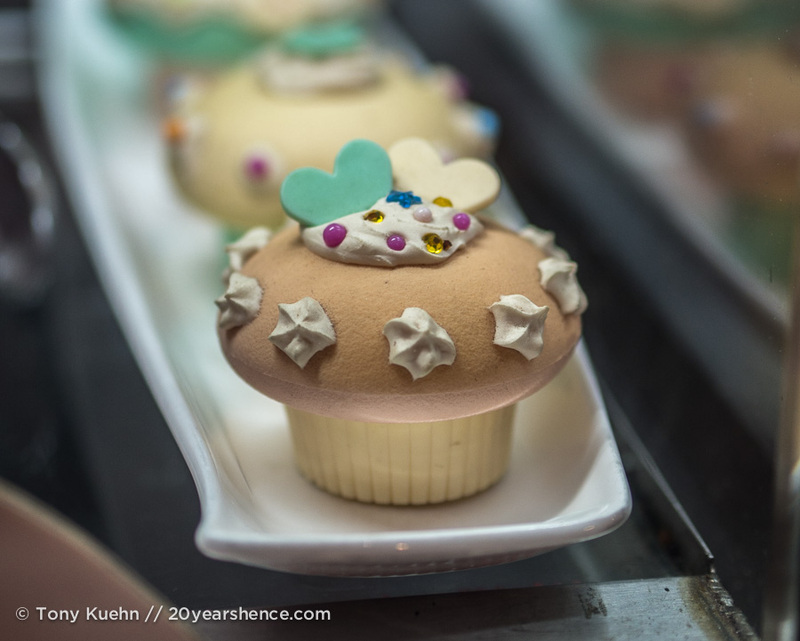 Congratulations on 2 wonderful years of blogging! It’s been such a pleasure to meet you and get to know you two. Oddly enough, you are featured in our next post! 🙂 Great minds, I tell ya. I think you are right that you have been one of our Day One readers… I certainly remember you commenting very early on in our journey and before we even left home. I’m so glad that in that time we have finally had the chance to meet in real life and I’m sure it won’t be the last time that happens! Happy birthday to 20YH! 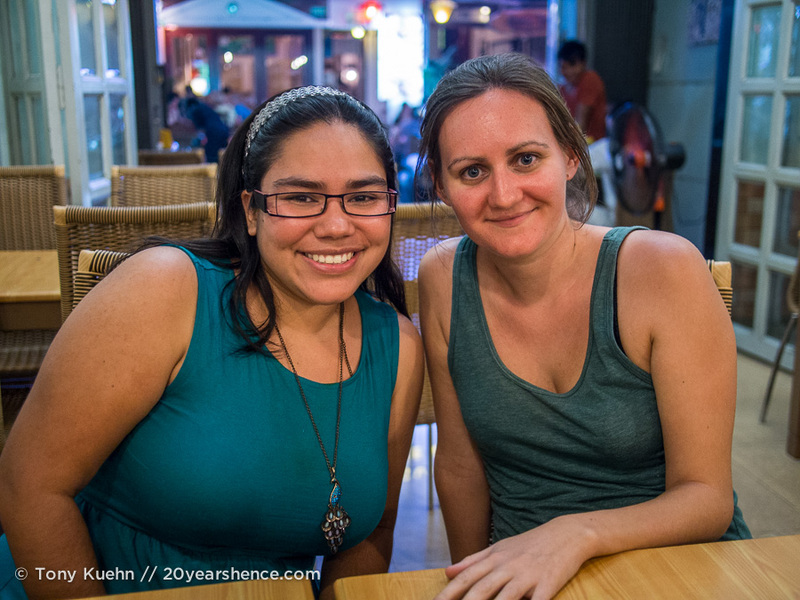 🙂 I’ve come to see others in the travel blog community as pen pals of sorts, all joined together in our common love of adventure and seeing new things! It’s a rewarding experience! YAY! Happy blogiversary Steph & Tony! 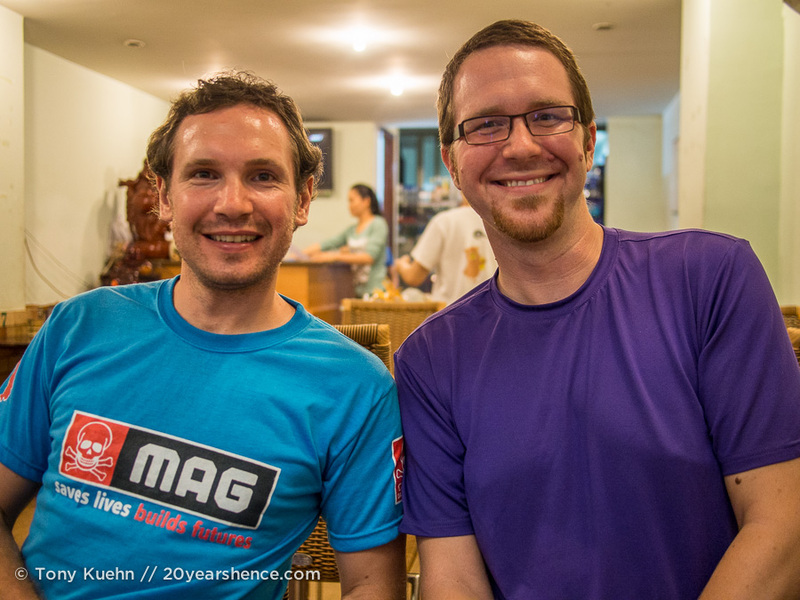 So happy to have met you both in Chiang Mai, and so happy that we get to see you again soon! Woohoo! Here’s to copious cold beers, crisps out of a saucepan and fantastic design work! We are going to have such a blast in London! Hard to believe we have not always been friends, but it has been so lovely and wonderful to have connected with you on this journey. xoxo! Lindsay @ Where Is Your Toothbrush? Congratulations on two years, guys! 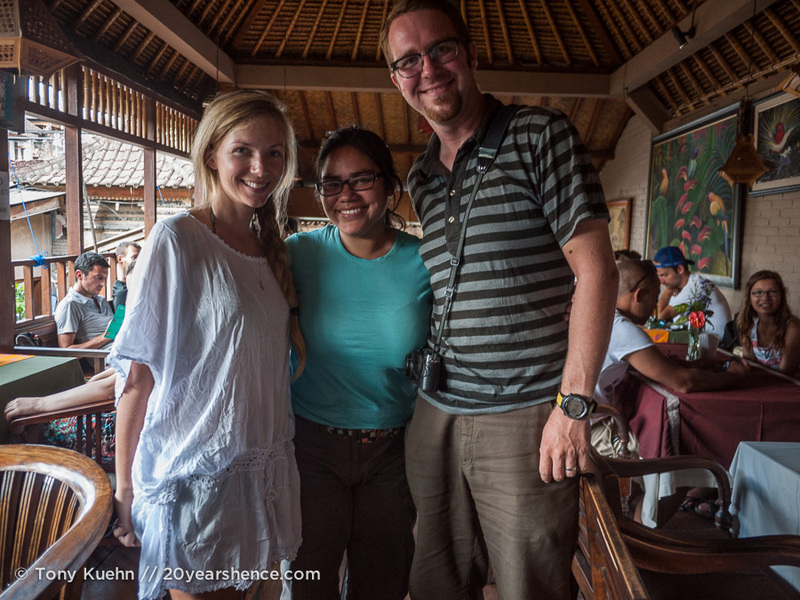 I love your blog and your travel life story is inspiring. Looking forward to your continuing adventures and maybe someday we’ll get to meet you too. Maybe for your year 3 post!! All the best and safe travels. Thank you for the kind words, Lindsay! I hope that come three years, we have double the number of traveler meetups to celebrate and of course it would be wonderful if you & Peter were amongst them! Congrats on reaching 2 years. Our 2 year blogiversary is 25 April so I will be writing a similar, and yet very different post. Since we are still pre-trip, we are honored, and occasionally flabbergasted, with the intensity of our feelings towards many cyber friends we’ve met through our blog and theirs. It’s a wonderful community spirit that didn’t exist during our 2007-2008 RTW, mostly because all this internet blogging was just a baby in those days. Greatly hope to meet up with you and Tony at some point, but until then, I’m glad to consider you friends, albeit those we simply have yet to meet. At many points on this journey I’ve thought of people as friends we have simply yet to meet, so I’m so glad to see you using those same words! If I have any regrets about our trip & this blog, it’s simply that we didn’t get our act together earlier and that we waited so long before starting 20YH. It’s truly enhanced this whole experience beyond anything we ever could have imagined. You had the right idea starting your site well in advance! 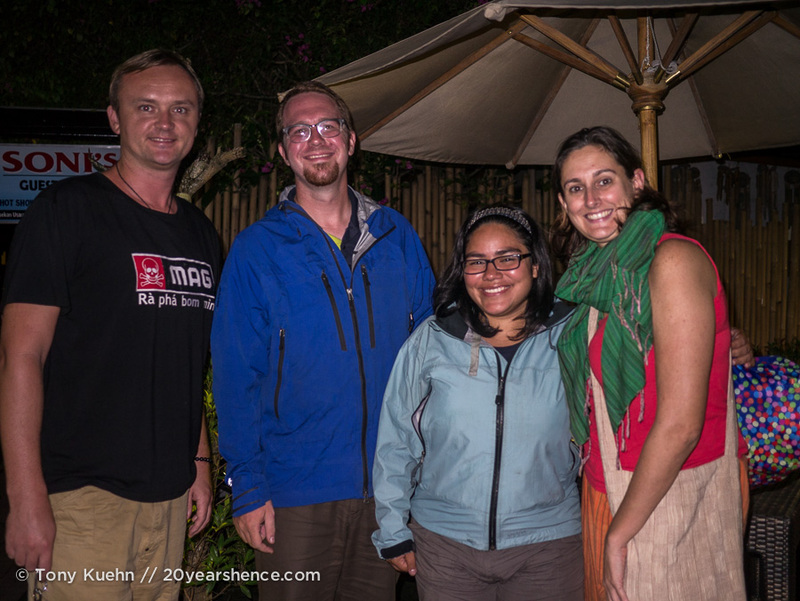 Happy 2nd blog anniversary! You’ve met so many people through this journey. Its always great to connect with likeminded people too. I don’t need to be told twice to eat some cake! We have been very fortunate to have met so many great people on this journey… I just hope we’ll have a chance to meet up with you & Rob at some point too! Great post! What a lovely way to mark your site’s second birthday. Happy birthday!!! 😀 keep smiling, keep travelling, and keep writing! Thanks, Tim! Glad to have had you join along in the adventure, and happily, we have no plans to quit doing any of the things you advise any time soon! I do believe that both Franca and I hold the record for the number of different countries in which we’ve met so we’ll be taking the entire cake. Seriously. Post it. I’m surprised you would want us to mail you the cake rather than hand deliver it to you! Are you no longer keen on us tackling country #4 together?!? Congratulations on 2 years! It is wonderful to hear about all the fantastic people you’ve met. I only wish that blogging had been around when I’d been travelling as I’m sure it would have enabled me to meet more people. 20YH is a wonderful resource and I’m sure you’ll treasure the photos and moemories it contains forever. Enjoy the rest of your travels! Thanks, so much Jackie! 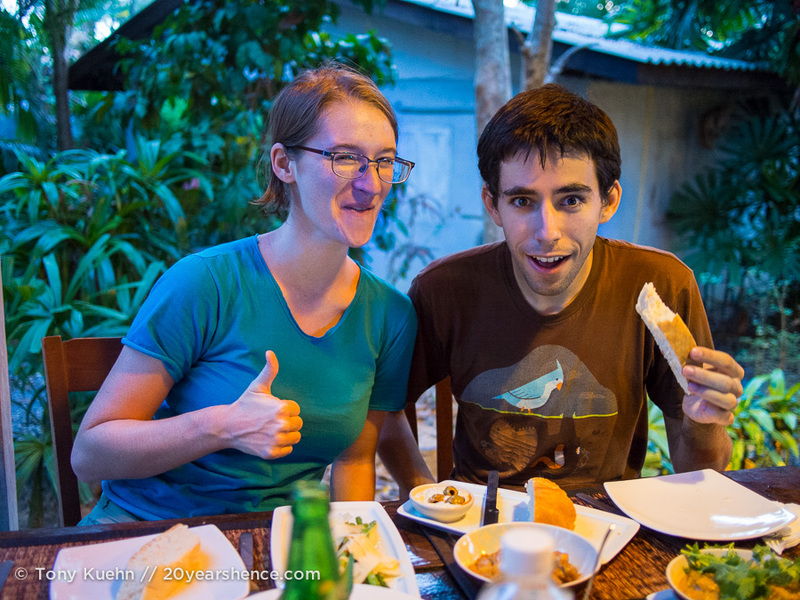 Sometimes it has been tough to juggle the blog with actually traveling, but at the end of the day, we’re so glad that we started it and have stuck with it. I definitely think it’s the kind of thing where the more we have put into it, the more we have gotten out of it… But you already know from the book world (as I learned before this) how wonderful an online community of likeminded people can be! Aww thanks for the sweet words, Steph. It’s so true — it’s all about making the moments you have count. I told you during our chat that I would write a post about it, and voila! When I realized our 2-year 20YH anniversary was coming up, I knew it was the perfect opportunity. Congratulations! 2 years is an amazing commitment and all the hard work definitely shows in all your posts. Your site has become a sort of mini-bible as we are now working our way through SE Asia after 6 months in South America and Australia/New Zealand. Thank you for the kind words, Tyler. It means so much to hear that you have been enjoying our site so much and finding it so useful. Have the best time traveling through SEA and I hope our travels will coincide one day! how cool that you’ve met so many bloggers in real life! 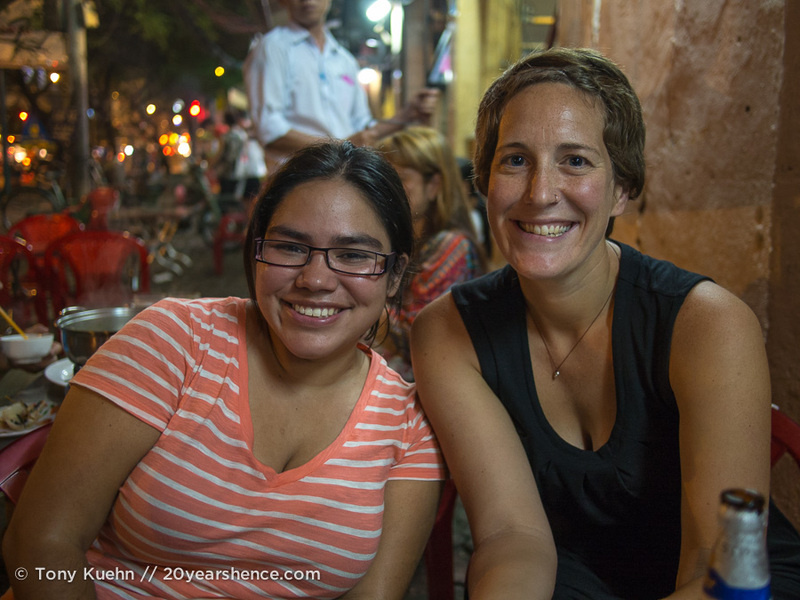 I’ve met Colleen from Colleen Brynn Travels recently and it was so fun! CONGRATS on turning 2 ! I saw on Colleen’s site that she met up with you in Goa and that the two of you had a blast! 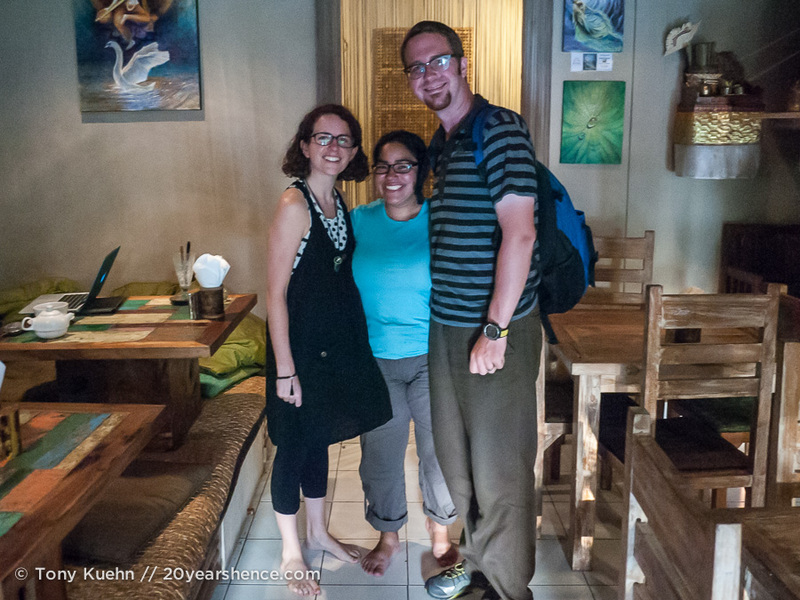 Meeting up with other travelers is always fun, but we’ve found that we definitely seem to click with other travel bloggers especially… We’ll make it to Goa some day, and we’ll be sure to get in touch when we do! Congrats you guys! I love your discussion of loneliness. Though I’ve never done a trip like you guys, I did travel (and fly 14 hours to Italy) for the first time ever by myself. In a week, it will have been ten years ago. I was young and naive and alone, but it was and is the most amazing trip I’ve ever taken. Everyone asked me about loneliness, but there was only one time the several weeks I was gone where I even thought about being lonely. Since then, I’ve also flown to Prague by myself, and for me, it’s the only way to travel. 🙂 I’ve taken other trips with friends that were pretty disastrous. But when I have traveled alone, I’ve always met such fun and interesting people. I’m glad you guys can say the same. I’ve been very lucky that whenever I’ve embarked on big trips (though obviously nothing of this scale before), I’ve had excellent travel buddies. I agree completely that just as certain friends shouldn’t live together, some friends also shouldn’t travel together either! I do wonder if I might have felt lonely at times if I were doing this completely on my own, but I think it probably would have just forced me to meet even more people! Beautiful post guys! 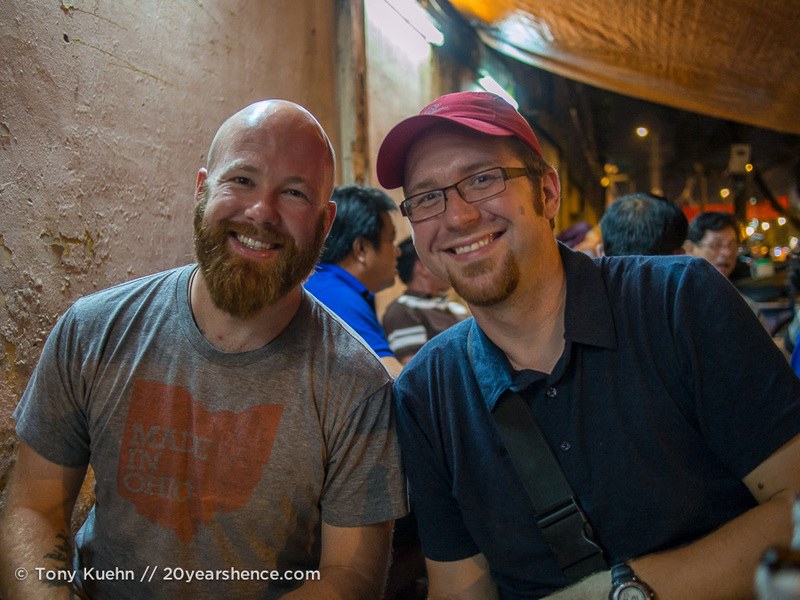 It’s amazing to see how many people you’ve been able to connect with while traveling and all the smiling faces in the photos. Congratulations on turning 2! Heather recently posted..The Big Reveal: We’re Moving to LATVIA! Maybe it’s because I was a grad student for so long, or maybe it’s because I’m an introvert, but I really don’t miss the typical office environment (not to say I hated spending time in the lab or my office with my officemate(s), but I was always happy to work from home then too). I think that if I had no creative outlets, however, it would be a very different story, and it is so nice feeling like I have friends scattered all over the world. Congratulations and happy 2 year anniversary to you guys! We are just approaching our 1 year blogaversary and it has been so much fun! 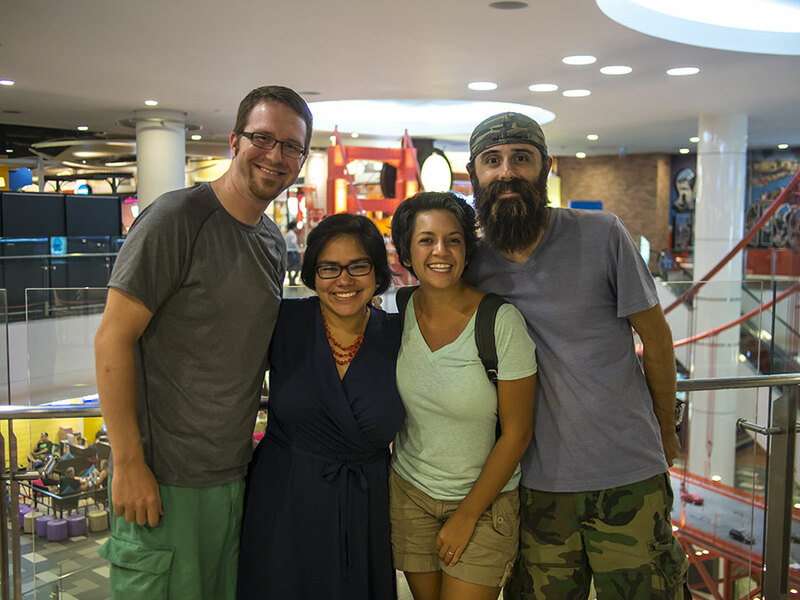 It must be great meeting bloggers out on the road – hopefully that will happen to us as well! 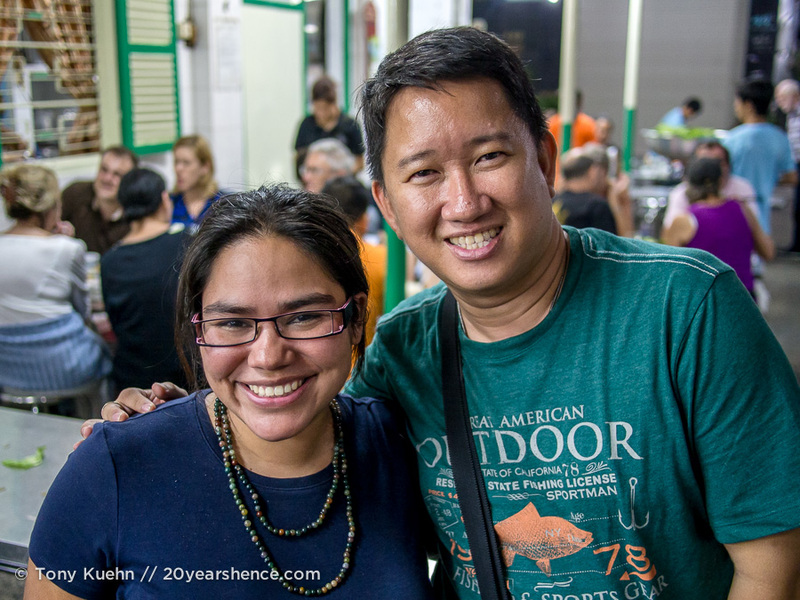 Congrats on your own accomplishment and I do hope you get to meet some fellow travel bloggers before too long. It’s definitely been one of the big highlights of our own trip, and I know we’ll treasure those memories and friendships for a long time to come. Glad to hear you’re going to give the Philippines a shot! Nearly 2 years later and it’s still one of our favorite countries from the trip! Awww, what a great bunch of people! Being on the beginning end of my journey I know what you mean about feeling like you have made friends before you have started. Everybody in the RTW community is SO friendly and warm and welcoming. You guys included, of course! Thank you so much for paying it forward. Encouragement from people who’ve been doing it successfully for 2 years really helps those of us just starting out to stay positive. The best thing about being on this journey is that every step of it has been an adventure. Sometimes it has been scary, sometimes sad, but always interesting and exciting and, ultimately, good. We’ve been really lucky to have found some really inspiring blogs early on in our journey that helped us through the planning phases into the doing phases, so it is so nice to hear from other people readying themselves to set out who are finding our blog similarly helpful/inspiring. So, thank you for your kind words, and I’m glad we can continue on this journey together! I have no idea when you guys will be back in Toronto, but if it’s any time post June 27, then you can count on seeing us there! I definitely hope that by the time 20YH turns three we’ll be able to put up a photo of the four of us together up in celebration! Happy birthday to you and your blog! 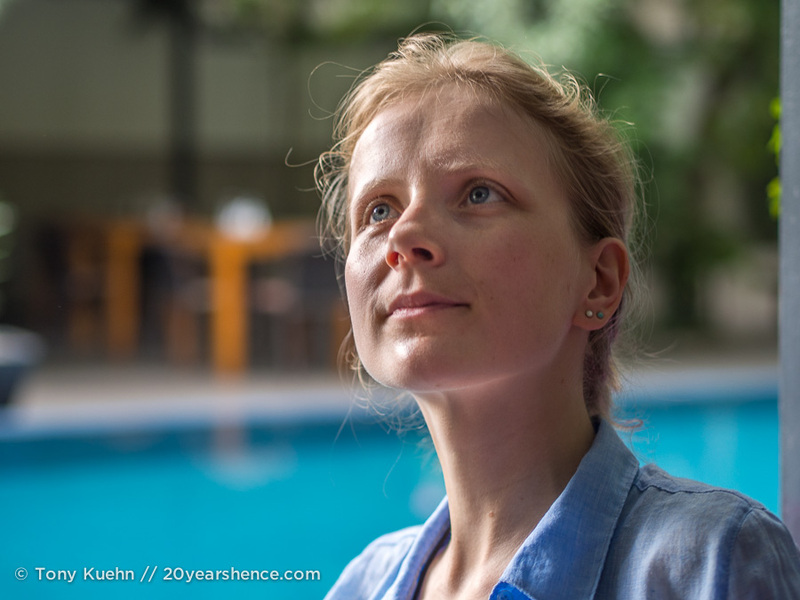 I can’t believe it’s already been 2 years – but what an adventure it has been to follow you around the world! I think it is incredible you got to meet so many new friends around the globe – unique connections I am sure. Time really has flown by, hasn’t it? And it’s crazy to think that we still have so many more adventure to share on the blog and that there will surely be more to come! I have no idea what this third year of blogging will bring for us, but if it’s anything like the last two, it will certainly be great! You’re absolutely right—as great as being online friends is, offline friends are even better! I really hope that the four of us get to meet so that a picture of our shining faces can feature in when 20YH turns 3. What an epic meetup that will be! 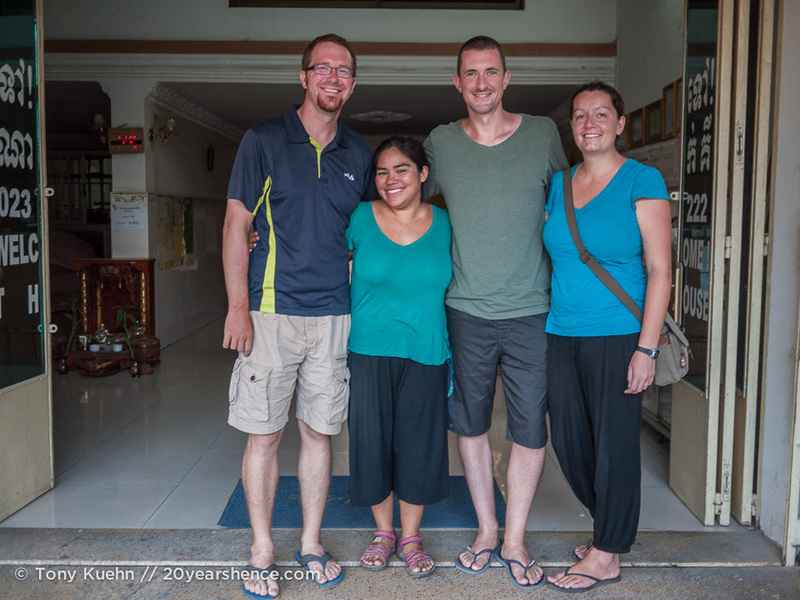 We really had so much fun with you & Paul while in Cambo—definitely some of our happiest memories from our tumultuous month there! I can only imagine how hard it must be re-integrating with “normal” society after all of your adventures… I guess we’ll be experiencing that soon in not much longer. I’m glad I’ll still have this community to support us through it as I’m pretty sure we’re going to have a rough go of it.